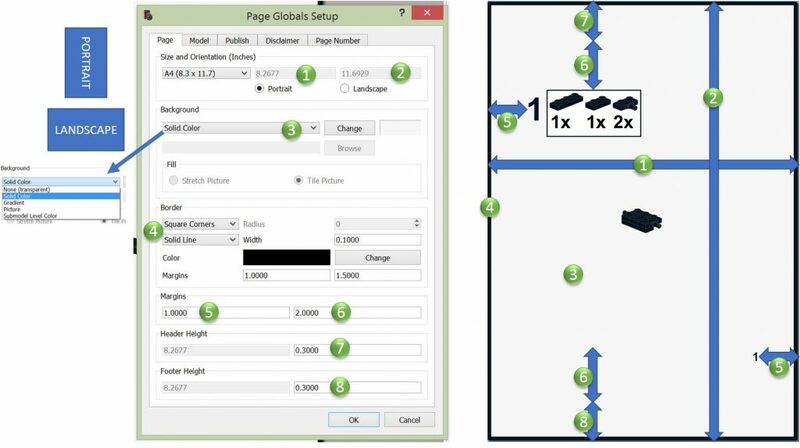 Explanation of each setting possible in LPub3D Page Globals Setup. For each function the effects are shown in the document as well. In ‘Size and Orientation’ you can select all types of ISO-standard paper sizes and other sizes. At the bottom of the pull-down you can select ‘Custom’, this enables the 2 entry fields at the right (see 1 and 2). – Picture; when selected the browse-button for picture search enables and the Fill options are enabled; ‘stretch‘ the picture is stretched over the page, ‘tile‘; the page will be filled with the actual size picture starting left upper corner. – Submodel Level Color; default setting, each submodel level color can be set elsewhere. A border can be created in 5 different styles (solid and 4 types of dotted lines) and all possible colors. 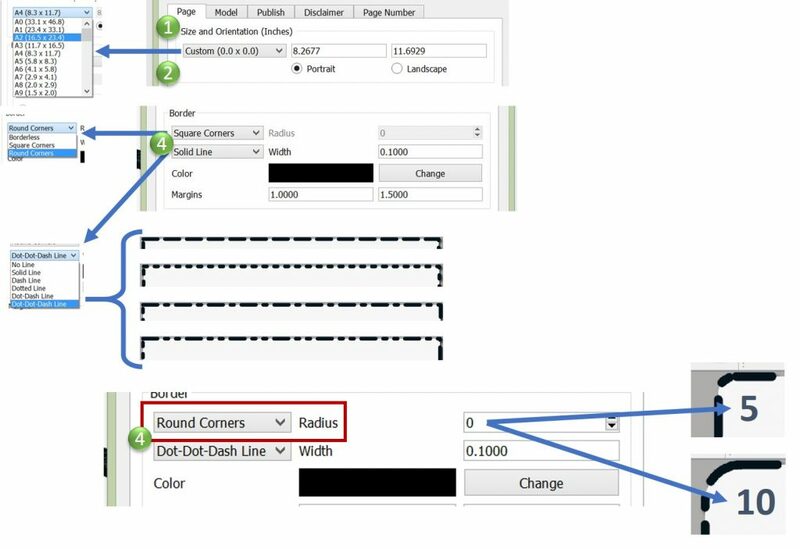 – Round Corners; this enables the ‘Radius’ field, the higher the value the bigger the radius.